In a new study of Canadian small businesses, American Express (with Rogers Connect Market Research) has taken an in-depth look at how small businesses feel about their future prospects and how they’re approaching the complex issue of corporate branding. This is an interesting development because Twitter and Facebook have long since been considered the two (and only two) “essential” brand-building networks. While LinkedIn has experienced a resurgence of late, it is still widely regarded as mainly of importance to job seekers and very large enterprises. To put it another way: No one looking for a plumber turns to LinkedIn. Small businesses are now saying that perhaps that conventional wisdom isn’t necessarily true—and that, at least, even if a LinkedIn presence doesn’t lead to sales, it is still important for keeping the brand visible. This is undoubtedly more the case for B2B businesses than consumer-focused ones, but a cursory search for even basic B2C companies on LinkedIn shows that more and more of these types of companies are taking advantage of the platform. Unsurprisingly, other social networks landed further down the list. 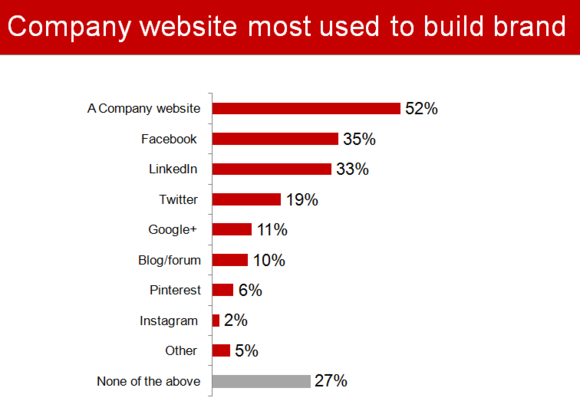 Google+ now has just 11 percent adoption from small businesses, Pinterest has 6 percent, and Instagram has 2 percent. Just 10 percent of small businesses said they have a blog or forum system, and 27 percent said they don’t engage in any of these methods for brand-building (including having a company website). 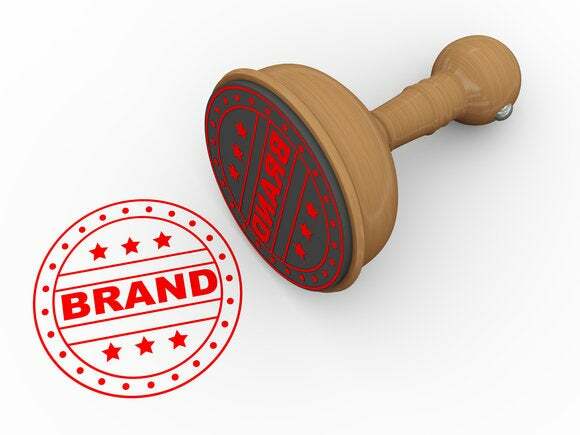 At the same time, 93 percent of small business owners say that having a unique brand is more important than ever, with a majority of those polled saying branding is critical to attracting new business. Seventy-three percent of SBOs say they actively monitor their brand’s perception in the market, and sixty percent rely on employees to communicate the brand to customers. Unfortunately, as is often the case with small business owners, a majority admit that they don’t have the time to keep their brand fresh and up to date and say they may be missing out on trends that could impact their business’s success. Another area surveyed by American Express was SBOs’ business outlook and overall optimism, which is continuing to fade. Only 55 percent of SBOs say they are hopeful about their company’s future, which represents a 15 percent decline since this survey was offered a year ago. Overall pessimism hasn’t grown significantly (it now represents 26 percent of SBO opinions vs. 23 percent a year ago), leaving a growing segment of businesses in the neutral, uncertain middle of the survey. As a result, 69 percent of those surveyed said they are generally unwilling to take risks, with only 3 percent of SBOs now saying they’re ready to take “significant” risks with their company.